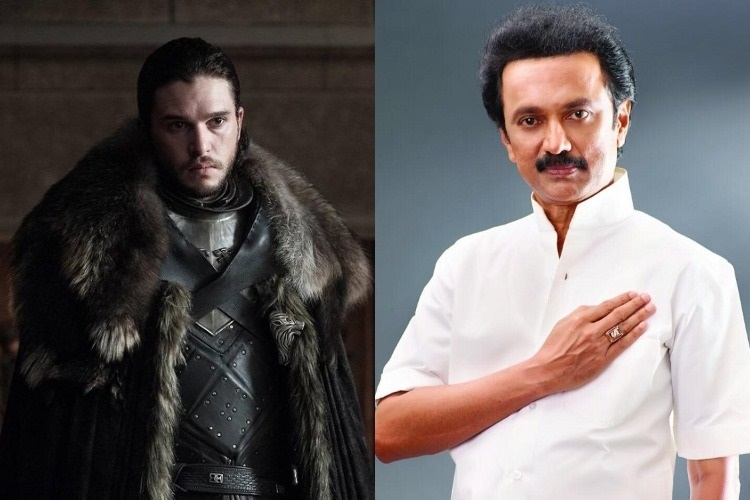 In this version of Game of Thrones, DMK President MK Stalin is none other than Jon Snow, while Sansa is Kanimozhi and Arya is…wait for it…A Raja, who the narrator argues has emerged a warrior after being acquitted in the 2G case. Daenerys Targaryen, you guessed it, is Congress President Rahul Gandhi, with the whitewalker being Prime Minister Narendra Modi, according to the clip. And while the clip informs viewers the Seven Kingdoms will be destroyed if the whitewalkers come, it notes that in Game of Thrones, Cersei chose not to take part in the battle against them. Pushing this reference further, the clip alleges, “But Edappadi Palaniswami has gone one level above and allied with the whitewalkers.” The AIADMK has allied with the BJP for the Lok Sabha Elections.